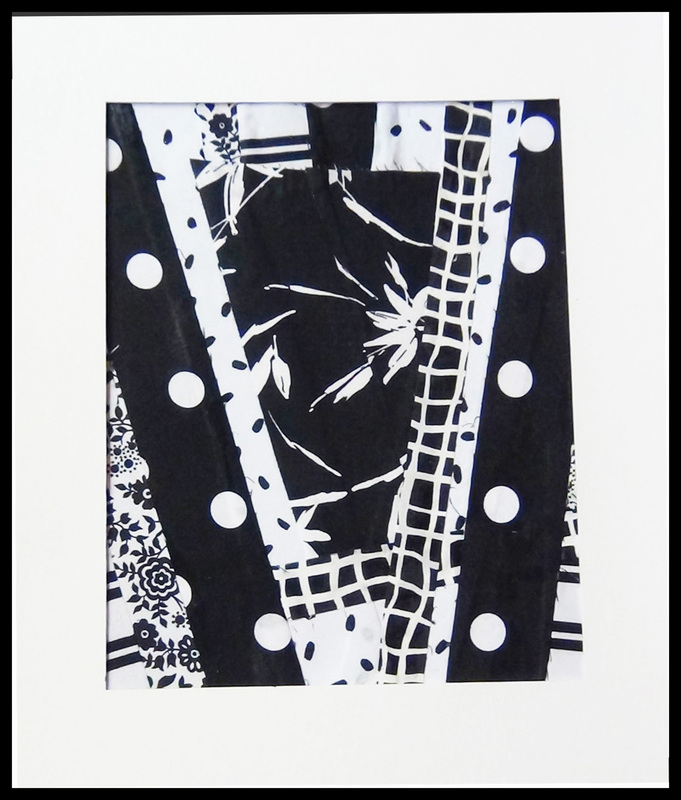 "Black and White" is an abstract collage created using fabric. The pieces are glued and given a light varnish to protect the finish. It is shown with a 11" by 14" white mat. It would be striking with a black frame. $50 includes shipping in the United States. It comes to you ready to frame.